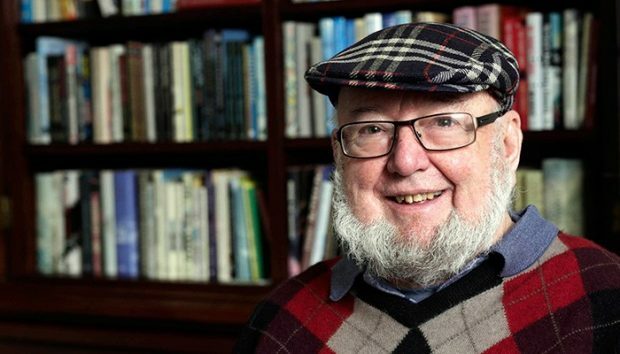 Thomas Keneally is one of Australia’s best known and most respected authors, writing both fiction and non-fiction. Born in 1935, he won the Booker Prize in 1982 with Schindler’s Ark, later made into the Academy Award-winning film Schindler’s List by Steven Spielberg. Tom’s fiction includes The Widow And Her Hero (shortlisted for the Prime Minister’s Literary Award), An Angel In Australia and Bettany’s Book. His novels The Chant of Jimmy Blacksmith, Gossip from the Forest, and Confederates were all shortlisted for the Booker Prize, while Bring Larks and Heroes and Three Cheers For The Paraclete won the Miles Franklin Award. The People’s Train was longlisted for the Miles Franklin Award and shortlisted for the Commonwealth Writers Prize, South East Asia division. As well as writing many novels, Tom has shown an increasing interest in producing histories. His history of Irish convictism was entitled The Great Shame and was published in all the English language markets. The same was true of his later work, The Commonwealth of Thieves, which looked upon the penal origins of Australia in a way which sought to make the reader feel close to the experience of individual Aboriginals, convicts and officials. Tom Keneally has the won the Miles Franklin Award, the Booker Prize, the Los Angeles Book Prize, the Royal Society of Literature Prize, the Scripter Award of the University of Southern California, the Mondello International Prize and the Helmerich Prize. He lives in Sydney with his wife, and is Number 1 ticket-holder of the Manly-Warringah Rugby League team.